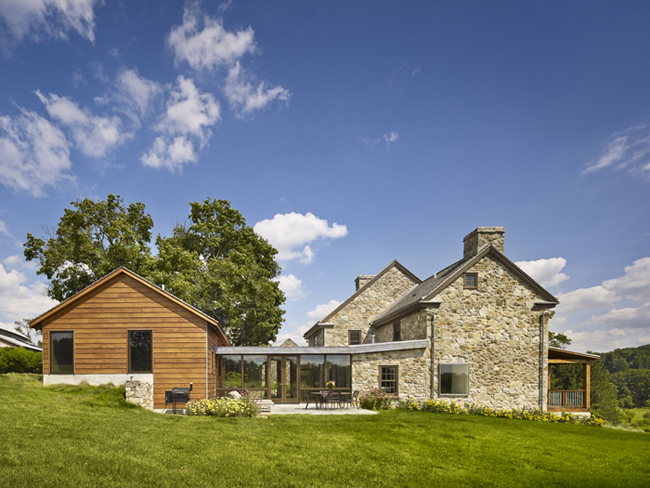 Overlooking the east branch of the Brandywine creek, this 18th C farmhouse renovation / addition both respects and preserves the character of the original stone farmhouse while also responding to the owner's appreciation for modern architecture. 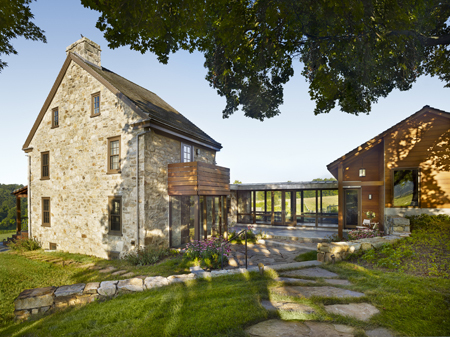 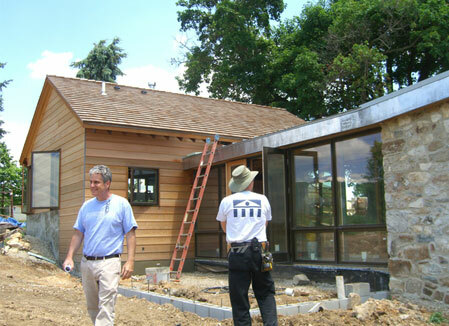 Following green and sustainable design, the farmhouse incorporates elements such as geothermal wells and solar power. 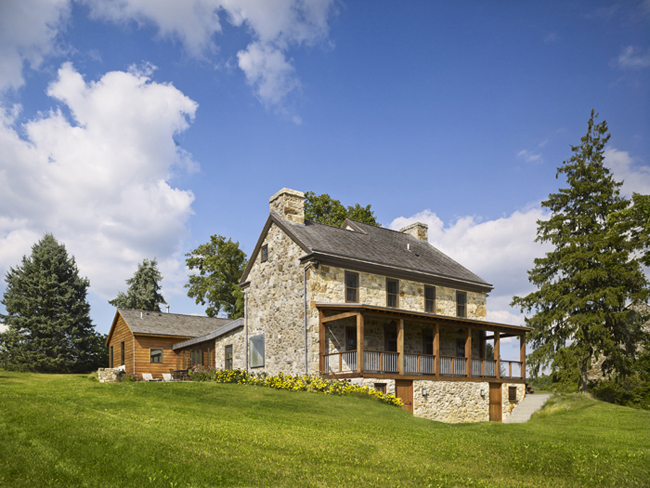 Having fallen into disrepair, the original stone farmhouse is being fully renovated and restored, while the new addition takes on a more modern character. 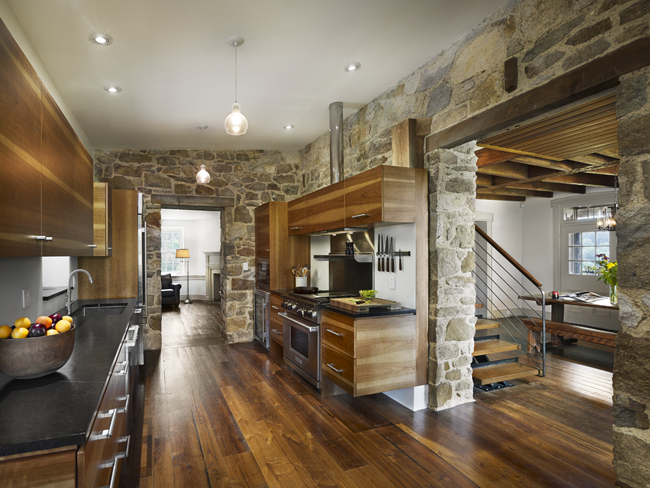 The interplay between old and new is carried throughout the details of the design, for example the custom kitchen and stair are new modern elements placed within the old stone farmhouse. 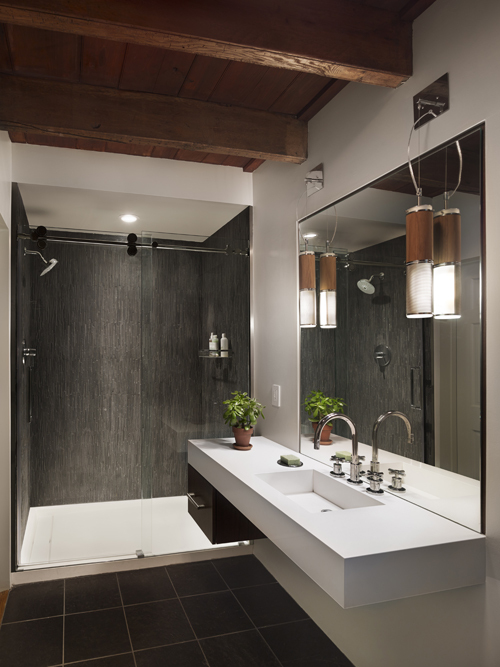 Through this juxtaposition, they become beautiful objects floating within the preserved, museum-like, original farmhouse.